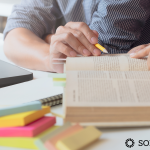 I read this article and wanted to share it with you: Transition to College with Advanced Placement in High School https://blog.sonlight.com/advanced-placement.html. Our oldest daughter worked at an accelerated pace through Sonlight's upper level courses and had finished Sonlight 400 by age fifteen. Because of her advanced writing skills, we knew she was ready for college level coursework. But at the tender age of just 15, she was not ready for college living. 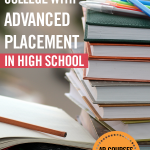 When advanced teens are in this in-between stage, Advanced Placement (AP) courses are a great way bridge the transition between homeschooling high school and college. 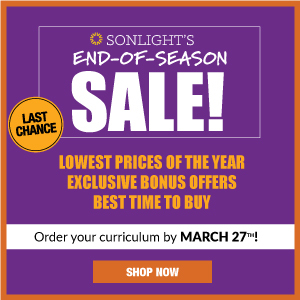 Through AP preparation courses from Sonlight*, my daughter maximized her final year of homeschooling and also earned college credit. Seeing her succeed in the courses assured me that she was ready for college level work, and we had the college credits to prove it! 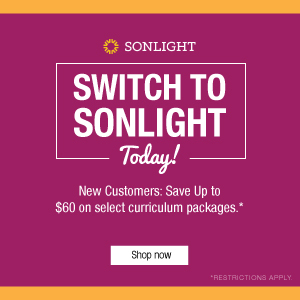 My daughter took British Literature and Psychology, but Sonlight offers AP prep courses in Biology, Economics, and Chemistry as well. 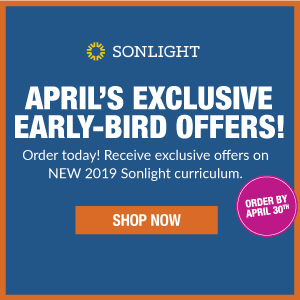 Sonlight’s AP prep courses are each 36 weeks long, giving plenty of time to cover all of the material. We added several other classes and electives to round out a full year of high school with college credit. 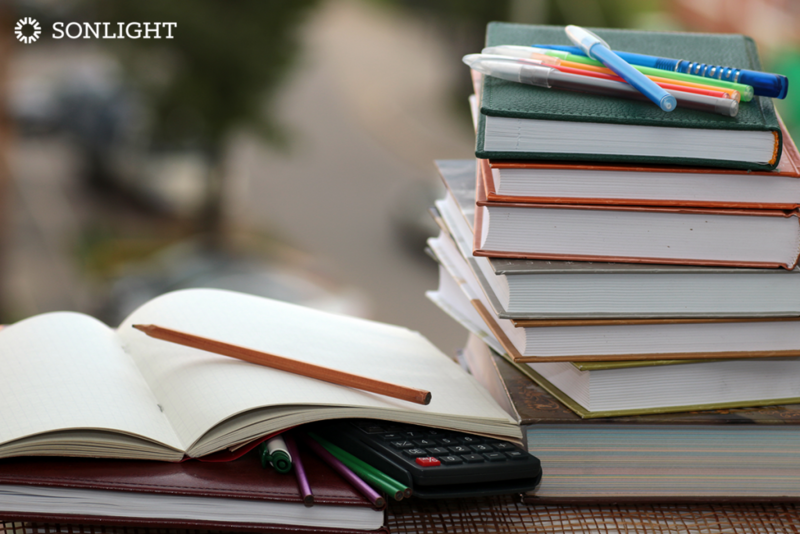 Taking an Advanced Placement course will yield a higher GPA and can possibly mean transferable college credit—both of which set your student’s transcript apart from their peers. Advanced Placement courses cover the material that would be taught in a first year college course. 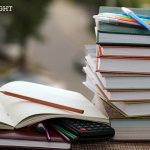 If your student earns an A letter grade, you may give it more value than an A earned for regular high school level coursework, for example, 5 points for an A versus 4 points in a typical class or 4.5 in an honors class. The higher points mean a significant increase in the GPA on your student’s high school transcript. If your child is thinking about attending college in the future, this GPA boost can set them apart as a strong candidate before an admissions board. We have already seen the benefit of adding AP courses. Our daughter has been offered several academic scholarship awards as well as a merit scholarship of over $14,000 from the colleges where she has applied. 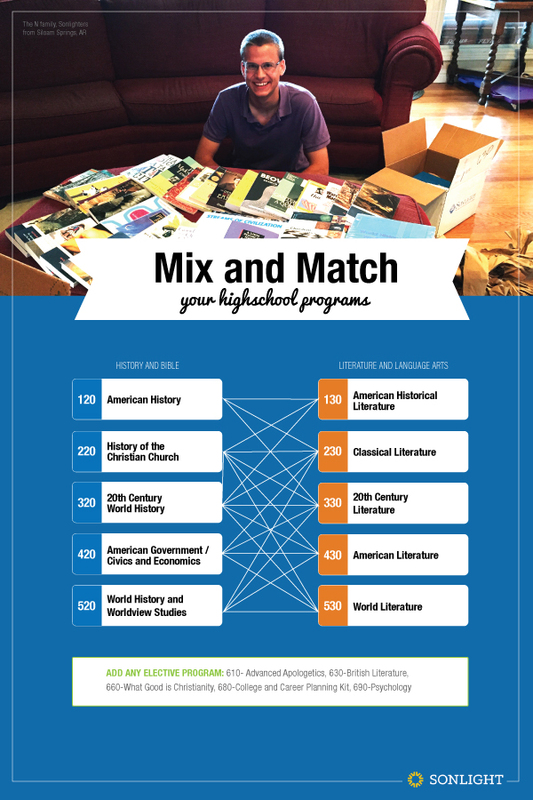 There is more that an AP course has to offer your student beyond a strong high school GPA, namely college credit. All of the hard work involved in an AP Course is really a study aid to help your student prepare for the final AP test. To earn college credit your student will need to take the AP test in May following the completion of their course. Each test is scored on a scale of 1 to 5. Earning a score of 3 is the equivalent of a first semester college course which is three college credits. Earning a 4 or 5 merits the equivalent of a full year college course. These are earned college credits, so for example, earning a 4 on the AP test for Psychology will earn six college credits to transfer to the school my daughter will later attend. AP credits earned by taking the final test transfer to nearly every school and are in prerequisite or required subject areas. 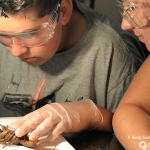 Earning theses credits means taking fewer first year courses in college. The college where our daughter will attend next fall gives college credit for AP scores of three and up. In our case of two English tests and one in Psychology, passing with scores of 4 could earn my daughter twelve college credits while still in high school. That is one full semester of college for the cost of three AP tests—just under $300. The average college credit hour is $594 each, so this savings can be significant. To get detailed information about the 30 subjects available and details about the AP tests check out apstudent.collegeboard.org. I have found this site extremely helpful for college planning, updates, and timelines. For tests each year, homeschoolers need to contact their local district or AP services by March 1 for a list of schools where a test can be arranged. AP courses are a great way to continue to educate an advanced student at home while simultaneously earning college credit. 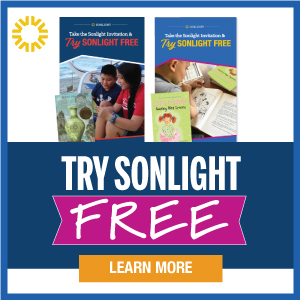 With the AP course work my daughter has completed with Sonlight, I feel confident that she is ready for college level course work next year. 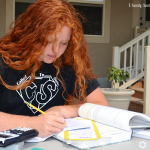 With hard work, good grades, and AP credits on her transcript, our homeschool student has earned significant merit scholarships from the colleges she has applied to. These will cover the majority of her tuition for all four years of school. You can help your kids earn freedom from college debt while they earn their degree. This is the best graduation gift I can give my kids—an open path to the future they choose, without the burden of years of debt. Educating high schoolers? 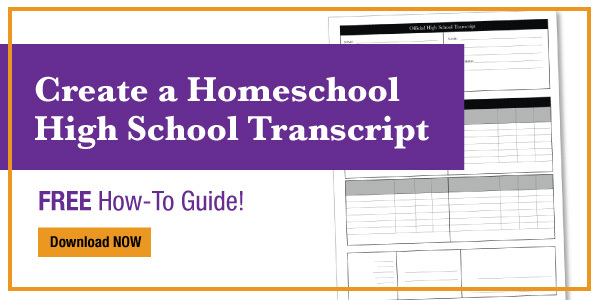 Get your free guide for Homeschool High School Transcripts.